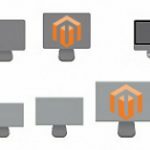 Extending the default Magento 2 features with store credit extensions is a great way to increase brand loyalty and simplify return and refund processes on ecommerce websites. 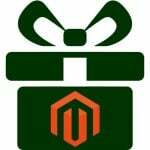 MageDelight Store Credit module for Magento 2 allows merchants to provide their customers with the benefits of having store credits that can be used for purchases or gifted to friends. With the module, customers get an option of claiming refunds in credit points, accelerating the procedure of product return and exchange. The extension’s features can significantly simplify merchants’ work with customers’ accounts and save their time by automating refunds and returns management. With the Store Credit module, store owners boost sales by motivating customers to make purchases using store credits and increase engagement on their online shops. Users can purchase store credit on the frontend, that can be used for future purchases. The possibility of adding credit points to a credit balance saves the time at checkout for customers. Customers can also send their credit points as a gift to other users registered on your website. At checkout, customers can choose to pay a part of the price or the full price of a purchased product. This option simplifies and accelerates the whole checkout process. On the checkout page the available credit balance is visible to customers, so they can decide how much of their credit points they would like to spend on purchasing a product. Customers can earn credit points for the actions they perform on your store, like account registration, order placement, newsletter subscription, or leaving a product review. Assigning additional credit points to customers improves brand loyalty and incentivises customers to make more purchases. Store admins are enabled to view and manage store credits in the customers’ accounts. Here an admin can provide customers with additional credit points on different occasions. Thus, customers will be motivated to buy more on your store having some free credits in their account. Transaction history on the orders made using store credits is available both from the backend, and frontend. In this way, all details on fulfilled transactions are transparent to the customers in their My Account profile. 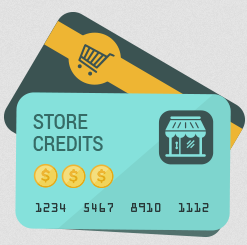 Possibility to have store credits simplifies the process of money refunds and product returns. Adding credit points to a customer account on the product return is the easiest and fastest way to handle a refund. 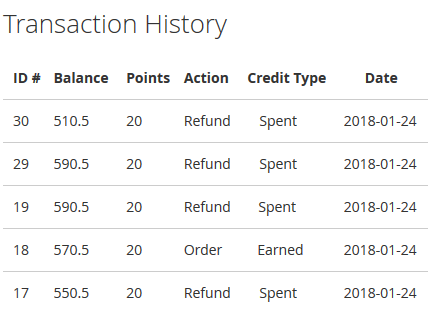 The credit balance is automatically updated when the refund takes place. Let’s see how the extension settings can be configured from the backend. To go to the configuration interface, navigate to Stores → Configuration and select MAGEDELIGHT → Store Credit from the left-side menu of the page. For the convenience of a user, configuration settings are divided into four sections: License Configuration, General Settings, Credit Points Settings, and Pagination. First, you will need to enter your serial key and activation key in the License Configuration section. Serial and activation keys are part of your license that you get after you purchase the Store Credit plugin. After you enter and save serial and activation keys, you will see available website domains in the “Select Website” field of the General Settings section. You can select one or a few domain names from the options listed there. To make the extension work on your web store, select Yes in the “Enable Module” setting. 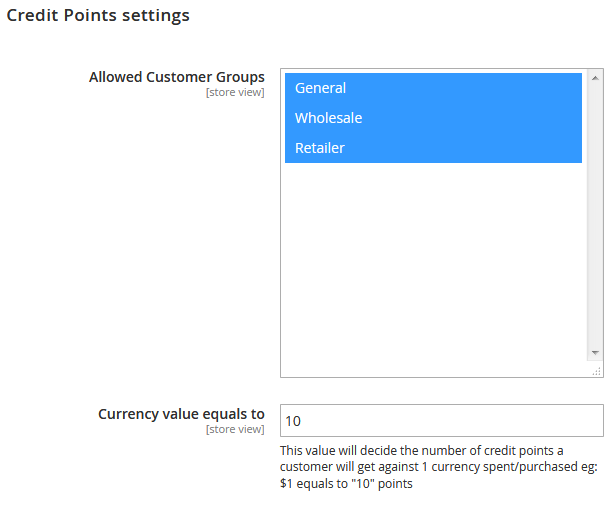 In the Credit Points Settings, you can assign which customer groups will be able to use store credits. Here you can also set credit points to calculate currency value, e.g. 10 points per $1, as shown in the example below. 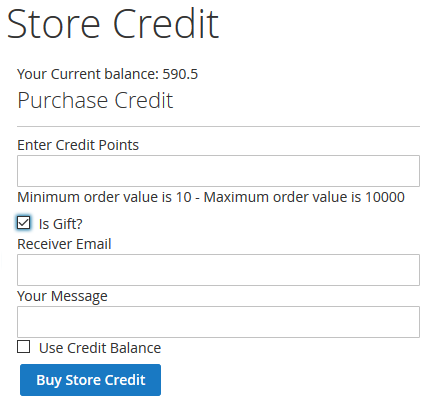 In this section, an admin user also decides whether to allow customers to purchase or refill their credit points on your storefront, as well as gift their store credits to friends. In any case, customers receive an email notification about refilling their credit points after they place an order or when they send credits as a gift. Gift receivers are also notified when credit points are sent to them. Email templates for every type of notification mentioned above can be configured in the same section. The Store Credit plugin also lets admins set values for minimum and maximum limits of credit points customers can purchase from their account. You can also select email templates for credit or debit by admin. 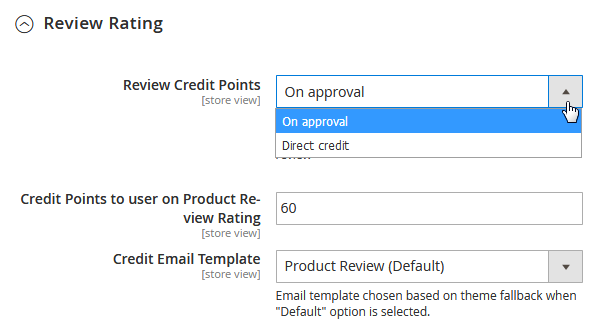 With the Store Credit module, store admins can specify a value for credits to add to customer account on order placement, registration, newsletter subscription, and submitting reviews. In the Order tab, you can set minimal and maximal limits for credit points to be used by customers to make a purchase. 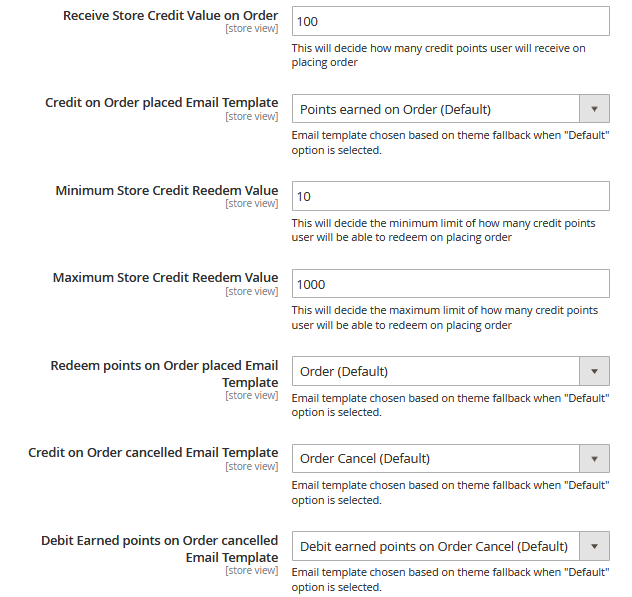 Here you can also choose templates for emails notifying about credit or debit of points when the order is placed or cancelled, and redeemed points on order placement. In the same way, in the Registration tab, you can set credit value to assign to a user on their registration and choose a template for an email on earned credits sent to a successfully registered user. In the Newsletter tab, you decide on the value of credit points to give to a customer if they subscribe to your newsletter, and choose a template for email notification. In the Review Rating tab, you can specify the number of credit points assigned to a customer if they leave a product review or give a rating. You can decide how you want to credit these points, whether directly after a customer posts a review, or on admin approval. 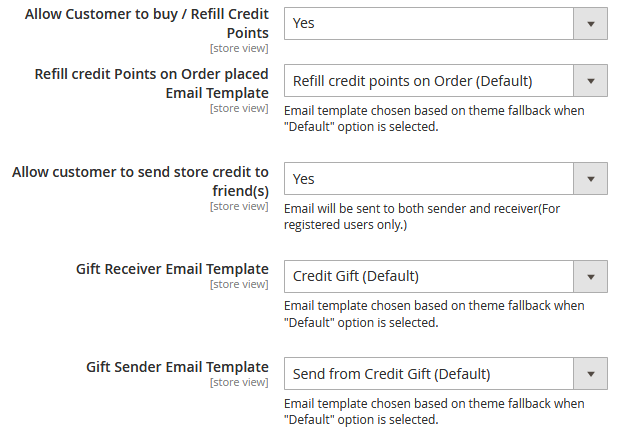 Here you also select an email template for credit points notification. In the Pagination section of the extension configuration settings, you can set the number of transactions on credit points that can be displayed on one page to a customer in their account. Merchants can view and manage details of all customers’ store credits from the Admin Panel. To access the Store Credit Customer List grid, navigate to Store Credit → Store Customer. The grid contains the list of all customers who did transactions using credit points. You can export the information provided in the grid in the CSV or Excel format. To view and edit store credit details per customer, you should click View in the Select options. You can also quickly delete a record from the Select options. By clicking View, you will access a Customer Information page, where you can manage store credit of a selected customer. Here you can add or subtract credit points from a customer account by choosing the “Operation Type” and specifying the number of credit points. From this page you can also track the history of each transaction made using credit points and view earned and spent credits of each customer. Now let’s see how the Store Credit module changes user experience from the frontend. After installing the module, a customer account profile will get a new section, My Store Credit, where customers can view their credit balance and all transactions made using credit. To check and take actions with their store credit, registered users should go to My Account → My Store Credit on the frontend. The extension allows customers to buy credit points from their account. Customers can later use these credit points for purchases on your store to accelerate a checkout process. The Store Credit section displays a customer’s current credit balance, as well as available minimal and maximal number of credit points that can be purchased. A customer can also choose to send their credit points as a gift to another registered user. By checking “Is Gift?”, “Receiver Email” and “Your Message” fields become available. Here customers should enter a gift recipient’s email and can add a personalised message. If a customer wants to spend their credit balance for a gift, they should check “Use Credit Balance”. After entering the number of store credits for purchase and clicking on the “Buy Store Credit” button, the store credit is added to a shipping cart, and the customer is redirected to the checkout page. Full transaction history of store credits is stored in a customer account. Here customers can see the details of each transaction and operations made using credit points. Customers can use their credit points during checkout, whether to pay partly for purchases or cover their full price. In the Order Summary, the total balance of available store credits is displayed. All orders, including those placed using credit points, can be viewed in My Orders section of a customer’s My Account profile. 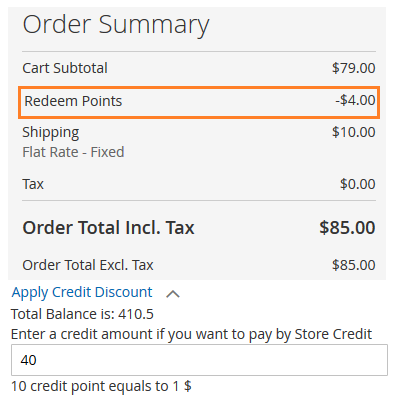 For each order, there is a “Redeem Points Amount Applied” line that shows the amount paid using store credit. 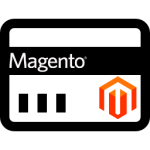 MageDelight Store Credit extension brings merchants a reliable and simple solution to implement a credit points system on Magento 2 web stores. The module integrates seamlessly with ecommerce sites and provides all necessary functionality both on the backend and frontend. The module increases customer loyalty and saves merchants’ time by automating store credits management and refunds procedures. You can purchase MageDelight Store Credit extension for the price of $179. The extension package includes free lifetime updates, free customer support for 180 days, and a money-back guarantee for 45 days. Installation service and extended support can be purchased for the extra price.